We've been on so many baking adventures the last couple months; I now have more varieties of flours in my pantry than I even knew existed! After surviving an elimination diet and adding foods back in, we discovered that dairy is the culprit of my 7month old's eczema- total bummer. At first I tried to remake all my old recipes without dairy but that usually ended in a lot of disappointment on my end (however my Soft Molasses Crinkles and Peanut Butter Rolls were still awesome) so I've made peace with letting go of some recipes for now and moving forward into lands uncharted! Disclaimer, if I were to choose between a normal oatmeal cookie and these banana based cookies for a dessert, I'd go with the traditional one without hesitation. That's not to say these aren't good, they just taste more of the breakfast variety, which totally earned me mom points offering my son cookies for breakfast! 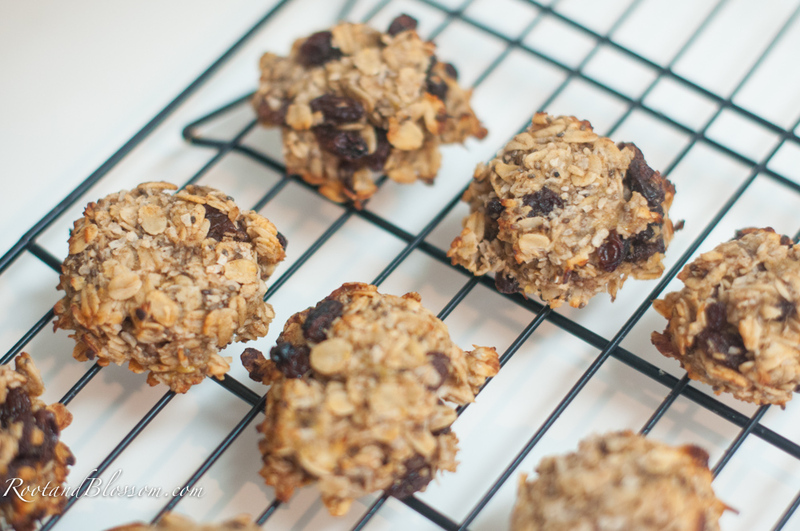 Yes, bananas are the glue that holds these cookies together. 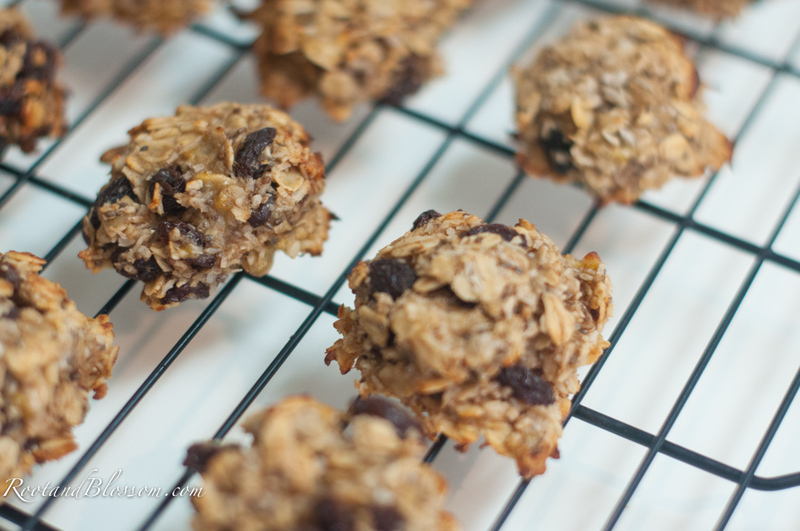 I'd seen quite a few banana recipes during my searches for gluten/wheat/dairy free foods, I had two way over-ripe bananas sitting in the fruit bowl, plus I was out of chocolate and itching for some sort of treat. 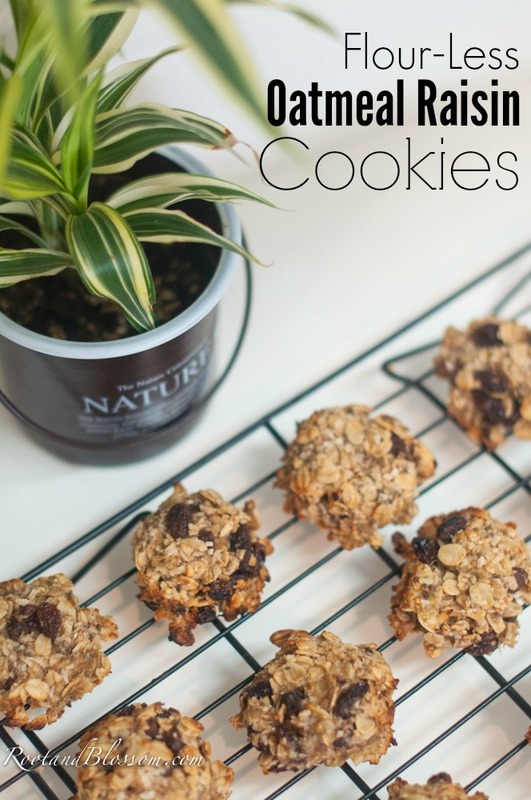 What I love most about these cookies is what I love most about tradition oatmeal cookies I make- the coconut flakes! 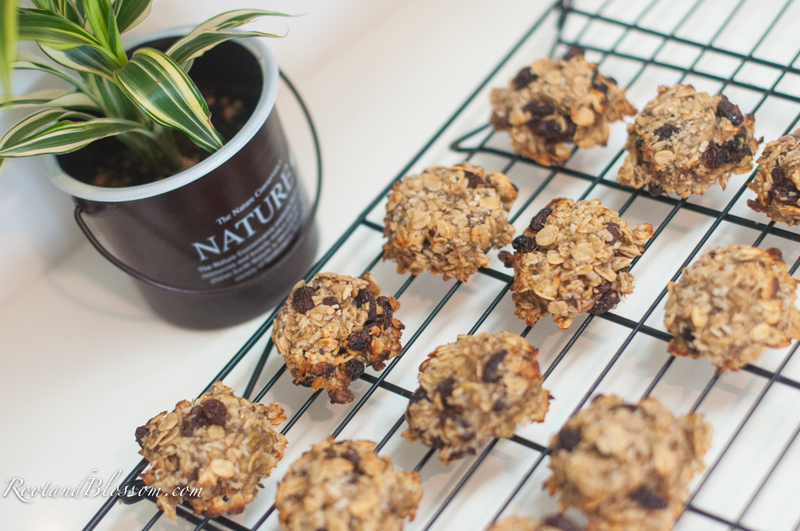 No oatmeal cookie is complete, in my book, without the coconut flakes and with the use of coconut oil to replace the butter, it's the perfect marriage. Directions: Preheat oven to 400'f. Mash the bananas in a large bowl then mix in all ingredients besides coconut oil. 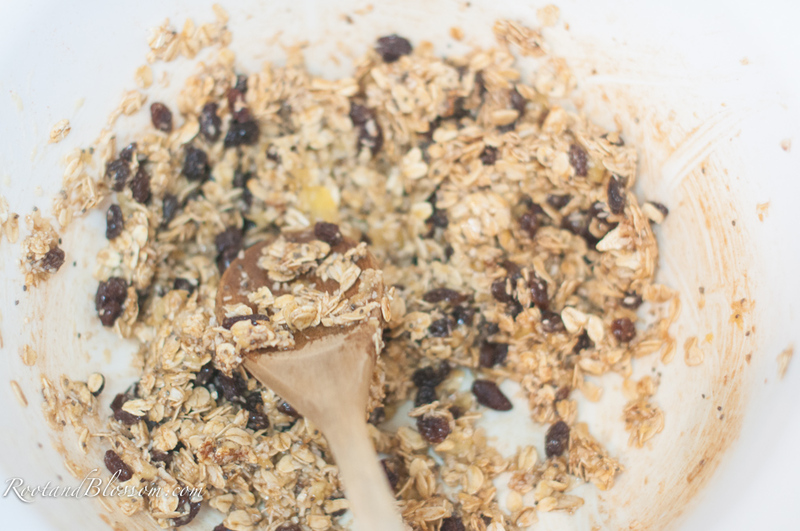 Once ingredients are thoroughly mixed, drizzle melted coconut oil on top and mix in. Measure out roughly 2 tablespoons of dough and drop onto an ungreased baking sheet, gently push down the dough to flatten the top. The cookies will not spread so no need to worry much about spacing. Bake for 8-12 minutes. By the end of the day we only had one left. They were a great little snack as well as a sweet bite before bed! Enjoy. I love all of these again! And that elephant planter is so cute! I need more things like that in my home! Good luck getting ready to move! 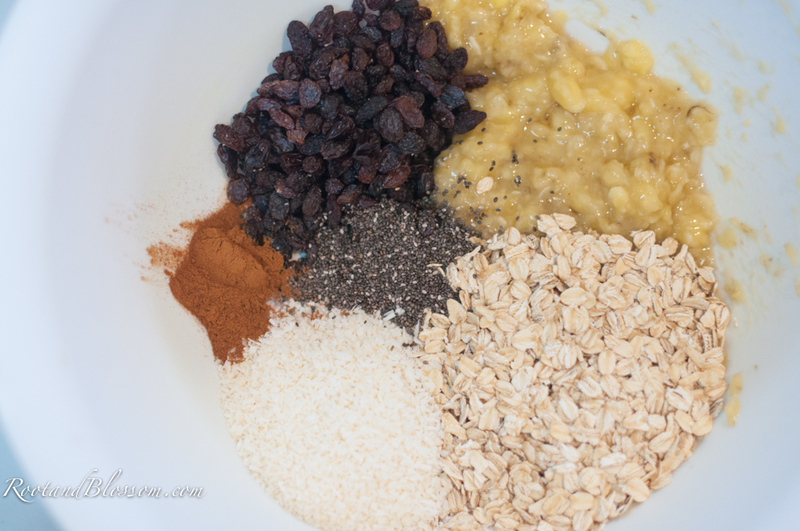 I have all of these ingredients in my pantry! 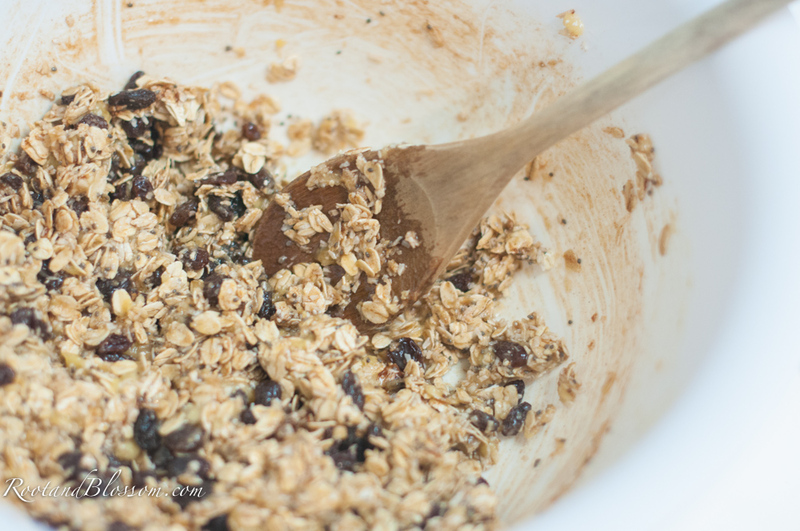 I want to make cookies for breakfast, so I think this just went to the top of my to do list! I still haven't yet! But I am still planning on it! And I'm sure Little J will be the same way!